If you enjoy reading Rachael Treasure and Rachael Johns, you’ll fall in love with this deliciously poignant story about family and friends, and love lost and found. The Paris Wedding will be available June 12, 2018. 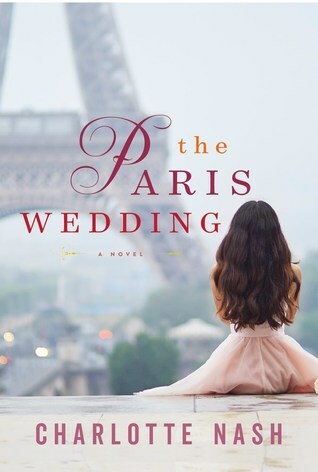 The Paris Wedding was the perfect weekend read. Full of family, love, and self-discovery, I never wanted to put this one down. Rachael once had plans to go away to school with her boyfriend, Matthew, but when her mother was diagnosed with a rare form of MS, she decided to stay and take care of her. Now that her mother has passed away and she’s feeling adrift, she finds herself longing for Matthew and the future they were supposed to have. Then she receives the invitation to his wedding. The invitation includes a full week of events in Paris, all expenses paid, for her and a guest. She and her best friend, Sammy, decide to go so she can finally have the closure with Matthew she needs to finally move on. However, Matthew doesn’t seem entirely happy with how his life has turned out or about getting married and Rachel begins to wonder if there’s hope for that missed future after all. To muddy the waters even further, Rachel begins to spend much of her time in Paris with photojournalist Antonio, who is photographing the week’s events as a favor to the bride. There is a slight love triangle, which I don’t usually appreciate, but I didn’t find myself minding it here. It wasn’t actually a huge part of the plot or the main source of drama. That said, I was totally team Antonio. Though he’s very opinionated and can come off a little pretentious and judgmental, he challenged Rachael in a way I think she needed. He was definitely one of my favorite characters in the book. I really enjoyed the Paris setting, too. While I would be perfectly happy to never leave my apartment, this book definitely had me wanting to go to Paris. I enjoyed the description of not just the scenery, but how the city made Rachael feel. I liked that she learned a lot about herself while she was there, both good and bad. I also liked that she wasn’t transformed by that week alone. It was really just the start of her journey, not the whole story. Overall, I really enjoyed The Paris Wedding. I liked the characters, the setting, the family dynamics, and the message of self-discovery. There is some cheating in this book, which always brings a book down for me, but it wasn’t really romanticized or the central part of the story. That and a few things being a little too predictable were the only real complaints I have about this book. This is my first book by Charlotte Nash and I know I’m looking forward to reading more from her. I definitely want to read this one. You’ve written a compelling review and I would get it today if the Kindle price was lower. I hope you enjoy it! I didn’t look at how much the Kindle price is, but it comes out in paperback tomorrow. Or hopefully it’s available at the library. Thank you! I love that cover too! It’s so pretty. Okay, you have me wanting to know who Rachael picked! This was obviously a great review then! Yay! I really enjoyed it. I think this is one you might like. Ha! This sounds proper interesting 😀 I mean, a week in Paris paid for by ex BF’s fiance? Bring it on 😀 Great review! Haha, yeah I would take that deal! And Thanks! It was a very enjoyable read.